This CD set is available for sale to Shambhala Centres and Groups for $54.00 and to individuals for $27.00. Why is there a different price for centres and individuals? The reason is simple; centres and groups have the opportunity to earn income by holding classes based on the CD set. CD sets purchased by individuals are intended for home study. 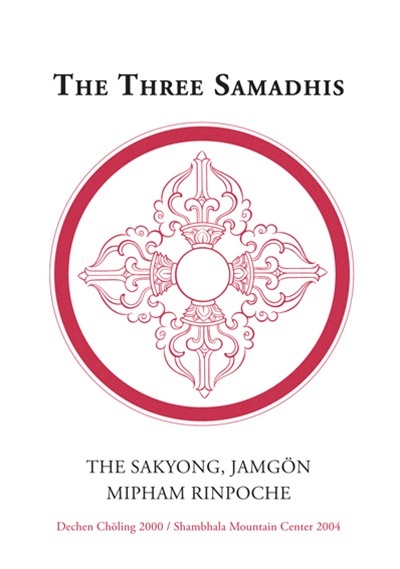 In the 2000 talks, Rinpoche presents the view of the three samadhis, giving instructions on how to deepen visualization practice and mix it with the nature-of-mind transmission. These teachings describe how the deity arises on the ground of contacting emptiness and compassion, and how they are inseparable. 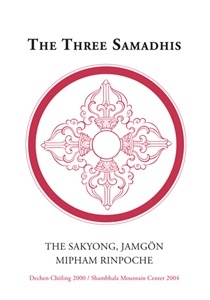 In 2004, he introduces the three samadhis in relation to the Shambhala teachings, in particular the Ashe, and to the dzokchen teachings on great equality. The set comes with a study plan of suggested readings and an eight-week course syllabus, available as a PDF file on the CD.